Buying a pre-owned vehicle is never easy. At Ramsay’s Honda in Sydney, Nova Scotia, our team of sales representatives certainly understands that. That’s why from the minute you walk into our dealership, you are always treated with care, respect, and dedication. We want to make it as simple as possible for you to find the perfect pre-owned vehicle for you, your family, and your needs. At Ramsay’s Honda in Sydney, Nova Scotia, you will find a wide selection of high-quality pre-owned vehicles that stand out in terms of pricing, reliability, and durability. We are very selective when choosing the pre-owned vehicles that we offer our clients, and that has allowed us to create a very loyal customer base that trust Ramsay’s Honda for all of their Honda vehicle and product needs. We have plenty of pre-owned Honda Civic models to offer as well as a wide range of pre-owned Honda sport utility vehicles and minivans. We also offer plenty of pre-owned cars and sport utility vehicles from other automakers as well. 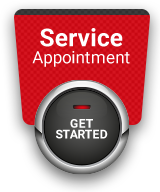 But more importantly, at Ramsay’s Honda, we offer our clients personalized service that will make you feel like your needs are important to us, and that you are a lot more than just a number. At Ramsay’s Honda, we offer pre-owned vehicle buyers a wide range of low-interest, and flexible financing solutions that make buying a pre-owned vehicle more affordable than you may think. Come and learn more today about how we can help you save money when you buy your pre-owned vehicle at Ramsay’s Honda! To learn more about our pre-owned vehicles, contact us today at Ramsay’s Honda by dialing (902) 539-0112 or by using our online contact form!